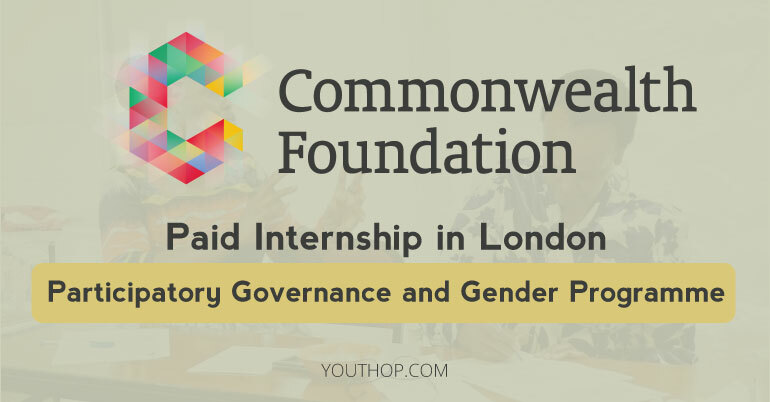 Commonwealth Foundation is looking for an Intern to work in one of their key programme areas: Participatory Governance and Gender. The internship will be London based and support the activities of this area. The individual should have excellent research skills, administrative skills and ideally have a knowledge of the development arena. Support the programme team working closely with key partners to deliver Civil Society Forums that strengthen the interaction with representatives of national, regional and global governance bodies. To work on administrative preparations for civil society participation in three key Ministerial meetings: the Commonwealth Women Affairs Ministerial Meeting in Samoa, the CARICOM Council for Trade and Economic Development meeting in Guyana and the Commonwealth Health Ministers meeting in Switzerland. To work closely with the Senior Programme Officers responsible for key projects and to support the delivery of key outputs as stipulated in the Foundation’s Annual Work Plan. Be familiarised with recent and important publications and discussions on the Sustainable Development Goals (SDGs) agenda particularly, on education, gender equality and health and share the information periodically with the staff team. 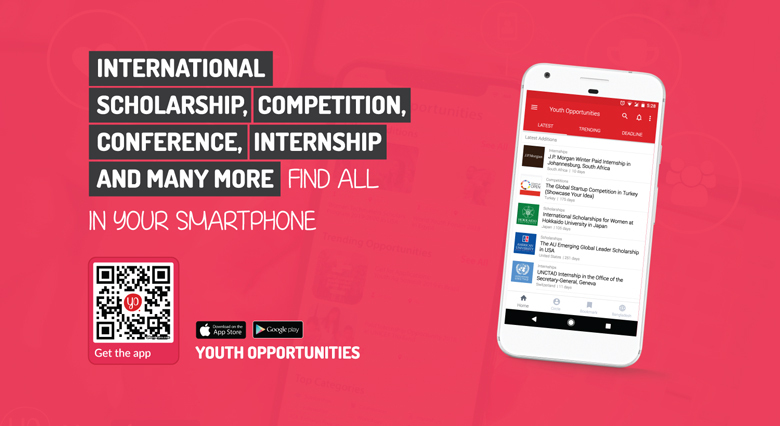 Work closely with the team to research key issues related to youth and development, women’s leadership for enterprise (and other topical issues as requested) and support the related development of the agendas for key Partners Forums. Coordinate (both internally and externally) the participation of civil society stakeholders in key Partners’ Forums working closely with various civil society groups in the respective regions. Take responsibility for gathering and compiling key good practice case studies on participatory governance that can be shared at key forums held in the wings of Commonwealth Ministerial and other meetings. Work closely with colleagues with responsibility for Knowledge Management and Communications, prepare content for the website on the various Governance projects and tweet key information as needed. Support the monitoring of key programme indicators and participate in reviewing project progress reports against set targets in the Performance Framework. Research/compile up to date mailing lists/contacts of key regional civil society organisations within the Commonwealth and globally. Research and prepare regular series of briefs and background papers for internal use within the Commonwealth Foundation (as and when required). Provide logistical support and coordination work for a variety of projects (as needed). It is the Commonwealth agency for civil society; a unique, stand-alone organisation established by, funded and reporting to governments. The Foundation is dedicated to strengthening people’s participation in all aspects of public dialogue, to act together and learn from each other to build democratic societies. For outside London only travel – a travel allowance (commuting to and from the office) to a maximum of £20 per day is available to an intern who lives outside of London. London travel is not covered by the Foundation. As an internship, this does not constitute employment with the Foundation. There are no payments for bank holiday, privilege days or sickness. There is a limited holiday allowance. Assistance is given where possible to aid the Intern in securing a permanent role in another organization at the end of their internship. If there was a suitable vacancy at the Foundation, the intern can apply, however, there is no guarantee of a permanent role at the end of internship. Under UK employment law you must have the right to live in the UK either by having a nationality from a qualifying member country of the European Union or by possessing an appropriate visa. The Foundation is unable to sponsor any visa applications, so this must be in place at time of applying.